Extreme to green in sixty minutes. Who says you need more than one hill? 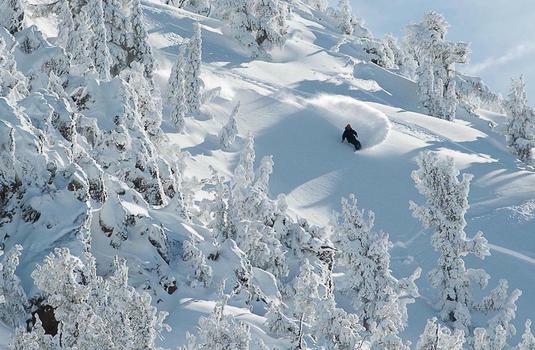 This truly mammoth single mountain has it all, starting with fierce bowls and big views at 3300m and finishing with beautifully groomed, easy greens through the woods, homeward bound. Add a few superb snow-parks and a town that's loaded with fabulous restaurants, and you're laughing. 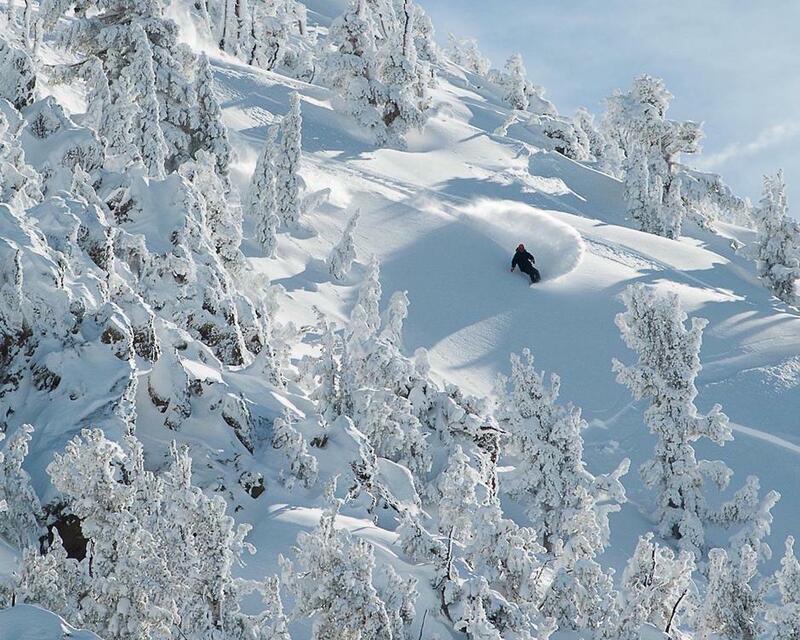 Looming high and mighty, Mammoth mountain is one of North America's greats. Trails at the top tend to be wide and open, whilst those lower down wind in and out of the trees. Those graduating from the nursery slopes will love the beautifully groomed green runs towards the bottom, and intermediates can cruise, carve and jump their way down long blues and steeper forest trails. 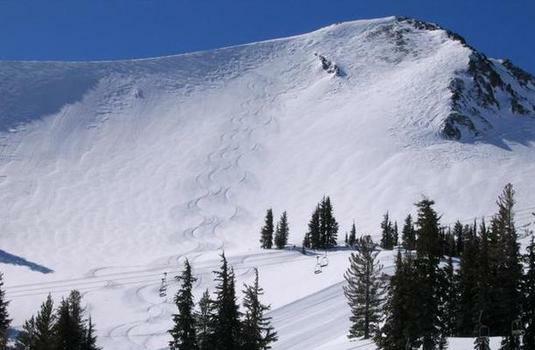 Double-diamond territory dominates the mountain top, providing big thrills for experts. Like its mountain, Mammoth is large and sprawling. 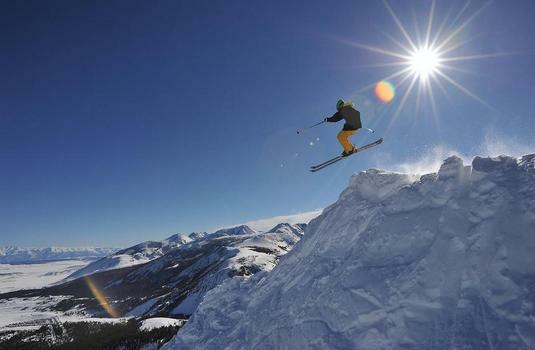 Split into different areas, Canyon Lodge, Eagle Lodge and Main Lodge link straigh to the slopes, whilst The Village, one gonfola away from Canyon, is the prettiest area, and attracts more people every year. 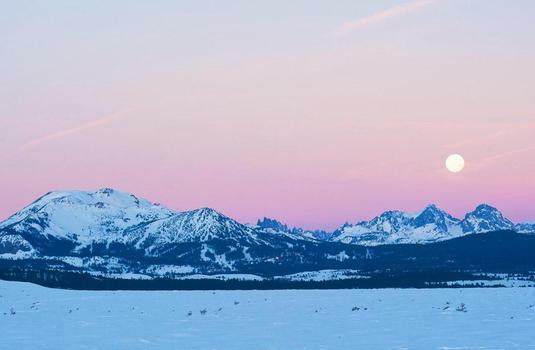 Then there's Mammoth Lakes, a small town in the woods with several good apreas-ski haunts, and a huge and mouth-watering choice of restaurants.